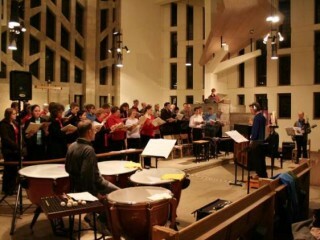 St Mark’s will be holding its annual choral Advent Service on the 27th November 2011. This will be Simon Dunbavand‘s first event conducting the choir as our new Musical Director. All are welcome to join us for this service. If you would like to form part of the choir for this event, Simon will be rehearsing the extended choir at 6.15 pm on Monday evenings leading up to Advent Sunday starting on Monday 17th October 2011. Please come along…!